Jerad Najvar makes a constitutional argument that the city of Houston should have accepted the HERO repeal petitions even though many of the petition pages fell short of the requirements laid out in the city charter. As you know – say it with me now – I Am Not A Lawyer, so take what I’m about to say with an appropriate dosage of salt. Najvar notes that the original brief that was filed didn’t specifically bring this issue up, but he expects it to be aired at the hearing on Friday. That may well be, but I have to say I thought that constitutional issues were supposed to be aired in federal court; the case is now back in state court, and the plaintiffs complained bitterly about the one-day journey to the federal courthouse. I’m a bit confused by all that now, but that’s probably just the non-lawyer in me talking. Anyway, as far as the substantive issue here is concerned, I will confess that I have some sympathy for the argument Najvar makes. I said throughout the Ray Jones saga that I’d prefer to err on the side of inclusiveness. This case definitely tests my resolve on that, but the principle is the same even if the petitioners are vile and knew fully well the rules that they then went ahead and violated. Having said that, I can’t comment specifically on the precedents that Najvar cites, but I do know that in 2011 the Texas Legislature passed a law that required deputy voter registrars to be residents of Texas. A federal lawsuit was filed against this, and in 2012 a federal judge in Galveston sided with the plaintiffs and agreed that this requirement was a violation of the First Amendment. However, the Fifth Circuit Court of Appeals, villainous as ever, stayed the ruling and allowed the residency requirement to be enforced. The Supreme Court declined to intervene, and last year a three-judge panel, which included the infamous Edith Jones, ruled that the district court judge had erred in allowing a preliminary injunction. Given all that, it’s not clear to me that Najvar’s constitutional argument would carry the day. At the very least, recent precedent suggests that residency requirements, however you think of them, may be allowable in some circumstances. 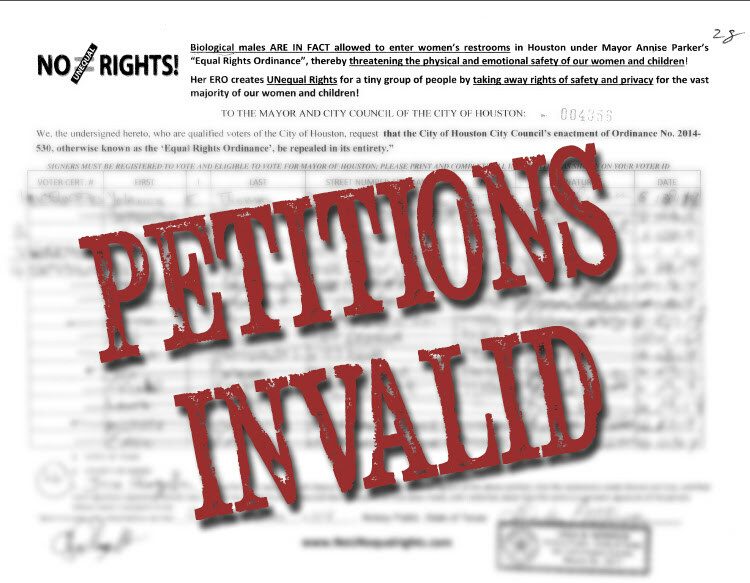 I don’t know what the plaintiffs’ lawyers will argue in this case – I’m pretty sure Steve Hotze isn’t about to file an amicus brief for the challengers in the voter registration suit – but if they do bring it up I believe the city has a valid response it can make, even if it leaves a bad taste in my mouth. We’ll see how it goes. UPDATE: Jerad follows up to address the points I raised about the voting registration lawsuit. I don’t think the consequent here necessarily results from the antecedent. Federal constitutional issues may be decided by state courts as well as federal ones. Both are required to follow the constitution. Thus state criminal law courts decide every day issues relating to 4th Amendment searches and seizures, and defamation cases with First Amendment defenses are routinely heard in state civil courts. Ultimately, the US Supreme Court could resolve any dispute on cert from a state supreme court. Wasn’t the issue of who could circulate petitions an issue in the Congressman Conyers lawsuit earlier this year? My latest newsletter focuses on the $1.9 million paid by Harris County to GOP heavy weight Gary Polland for court appointments.